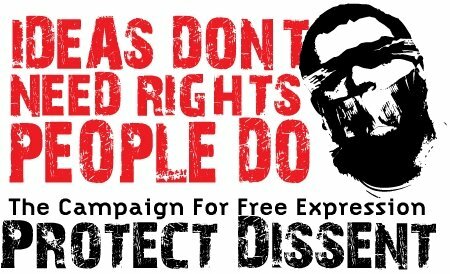 September 30 - International Blasphemy Rights Day! 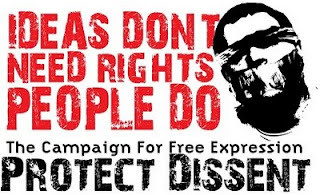 Founded in 2009 by the Center for Inquiry, International Blasphemy Rights Day seeks to establish September 30 as an International Day to promote the right to criticize (lampooning not excluded!) religion without inviting reprisals from religious bigots and governments. Blasphemy laws the world over (that is, wherever the laws exist) have been used to suppress legitimate criticism of religion. In some countries such as Pakistan, Blasphemy is a serious crime punishable with death. Though in India we do not have a blasphemy law, certain sections of the Indian Penal Code have been used by the authorities and religious groups to harass those who wittingly or unwittingly ‘hurt’ the ‘religious sentiments’ of certain individuals or religious groups. Section 95 of the Code of Criminal Procedure gives the government the right to declare certain publications “forfeited” if the “publication ... appears to the State Government to contain any matter the publication of which is punishable under Section 124A or Section 153A or Section 153B or Section 292 or Section 293 or Section 295A of the Indian Penal Code. In February 2009, the police filed a complaint against Ravindra Kumar and Anand Sinha, the editor and the publisher respectively of the Kolkata-based English daily The Statesman. The police charged Kumar and Sinha under section 295A because they had reprinted an article from The Independent by its columnist Johann Hari. Titled "Why should I respect oppressive religions? ", the article stated Hari's belief that the right to criticise any religion was being eroded around the world. Muslim protestors in Kolkata reacted to Hari's belief by violent demonstrations at the offices of The Statesman. On 20 June 2007, a court in the Punjab issued non-bailable arrest warrants against Gurmit Ram Rahim Singh, a chief of the Dera Sacha Sauda sect, for hurting the religious sentiments of the Sikh community. The hurting was the result of Singh's dressing like Guru Gobind Singh. In May 2007, a Buddhist group in Maharashtra's Amaravati district said their religious sentiments were hurt, and filed a complaint against the actress Rakhi Sawant because she posed in a bathtub against a statue of the Buddha. In 2007, the authorities charged ninety-one-year-old Maqbool Fida Husain with hurting religious sentiments by painting Mother India as a naked woman. In December 2006, a complaint was filed against the cricketer Ravi Shastri for hurting the religious feelings of Hindus by his allegedly eating beef during a Test match in Johannesburg. On 2 August 2006, two religious groups in Ahmedabad complained to the police that their religious sentiments were hurt because a garment-maker had printed text from the Hindu and Jain religions on clothing. The police filed the complaint as a matter under section 295. Thus, it is imperative that we Indians also should be part of this international event to make our societies more tolerable towards criticism of religious beliefs. But how should we celebrate the day? We seek your suggestions.